Here's another card from this month's stamp-a-stack. 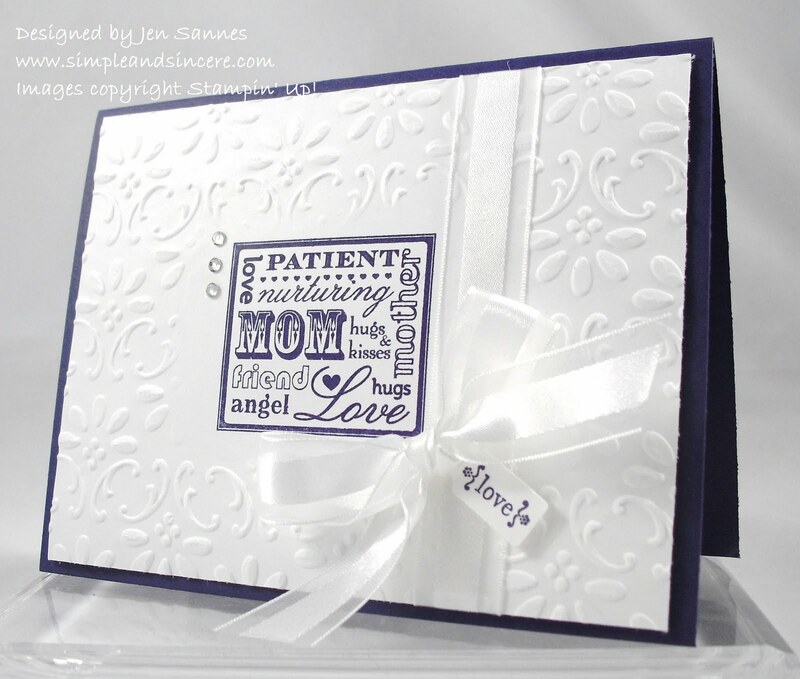 We couldn't let Mother's Day pass us by, so we made this card, using the Embossed Resist technique. If you aren't familiar with this technique, Patty Bennett has a wonderful tutorial on her blog. Go check it out! This was new to my customers - isn't it fun to learn a new way to use your stampin' tools? 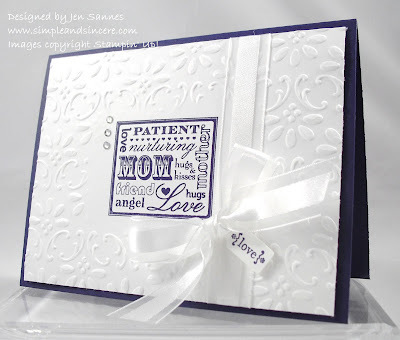 In the original tutorial, Patty uses a frame with an oval opening and for this card I used a frame with a rectangular opening. Thanks for stopping by today! I know things have been kind of quiet here this week, but I've got some fun stuff in the works. Stay tuned... 'Bye for now! Thanks for the link.. you are so kind!! Love your card!